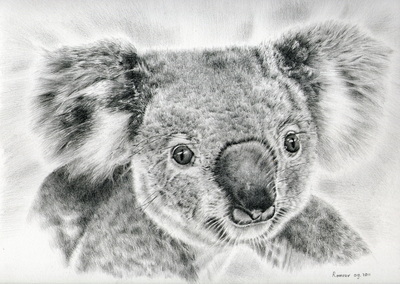 A few years ago I found out that koalas are threatened with extinction. I wanted to do something to help prevent this. 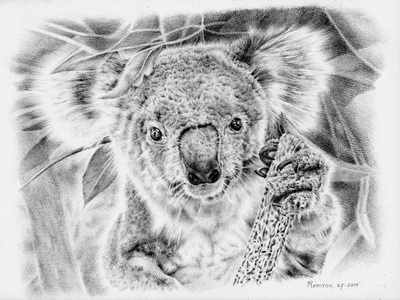 I started to make pencil portraits of koalas and koala cards and then I donate part of the proceeds to the Koala Hospital in Port Macquarie, Australia. At this hospital they do great work to help koalas. 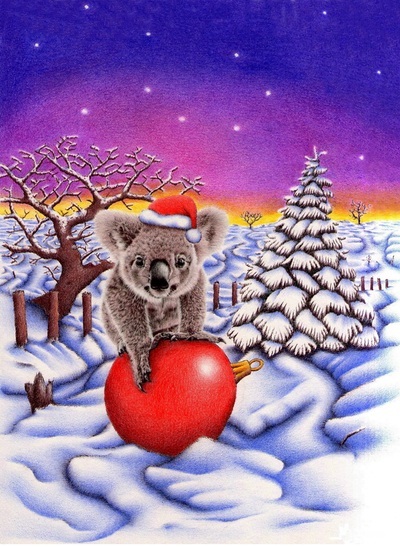 Please visit their website to see what you can do to help the koalas. 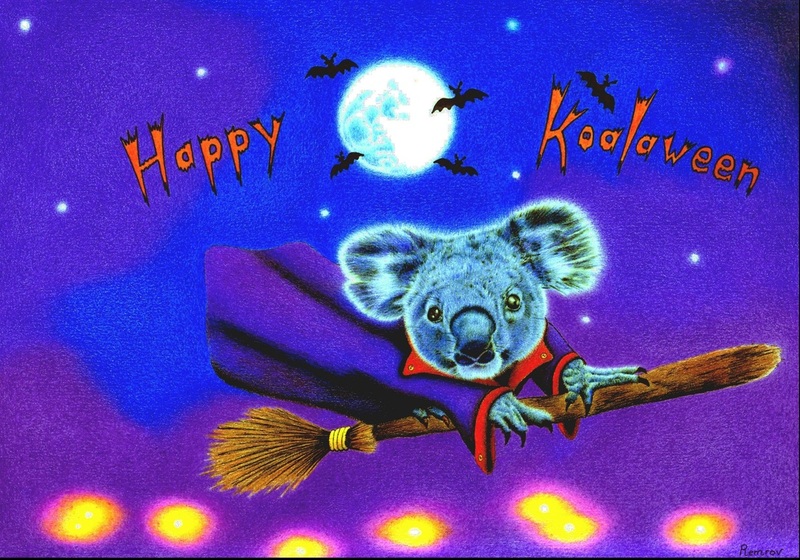 The Koala Hospital also has a Facebook page. 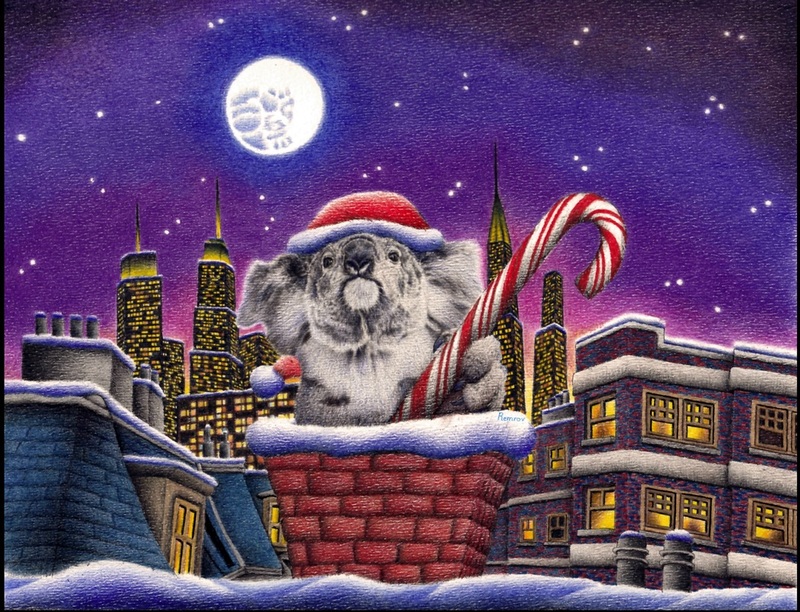 Please like their page and you will stay updated about everything that is going on in the world of the koalas. Here are the koala pencil portraits I have made until now. You see the koala on the left named Oxley Twinkles? 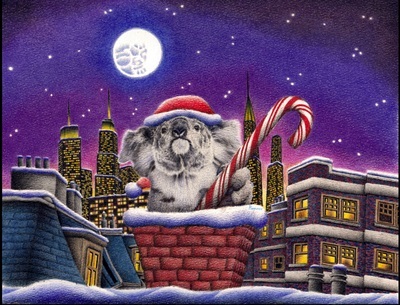 This is the koala I have adopted for two years in a row. 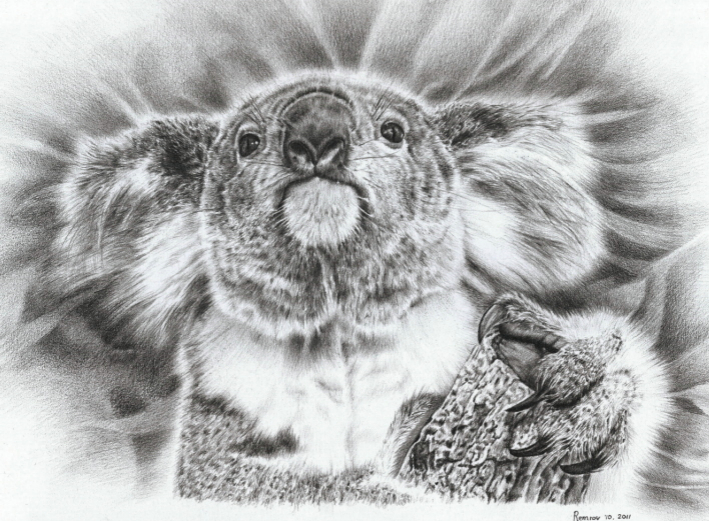 This is also something you can do to support the Koala Hospital. Of course you don't get to take the koala home with you, it's more a symbolic kind of adopting and the Koala Hospital uses your money to help koalas. When you adopt a koala you do get a nice package send to your home with an adoption certificate and a few other nice things. Click here to read more about adopting a koala. ​Besides photorealistic pencil portraits of koalas I have also made a few Koala greeting cards. As you can see I only have four koala cards made until now, three Koala Christmas Cards and one Koalaween Card. 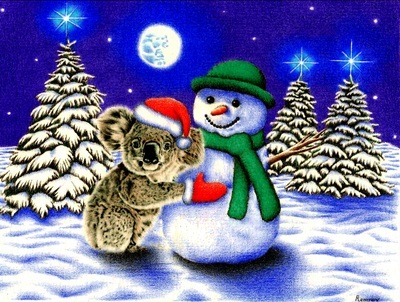 Soon I will make more cards for all kinds of occasions. 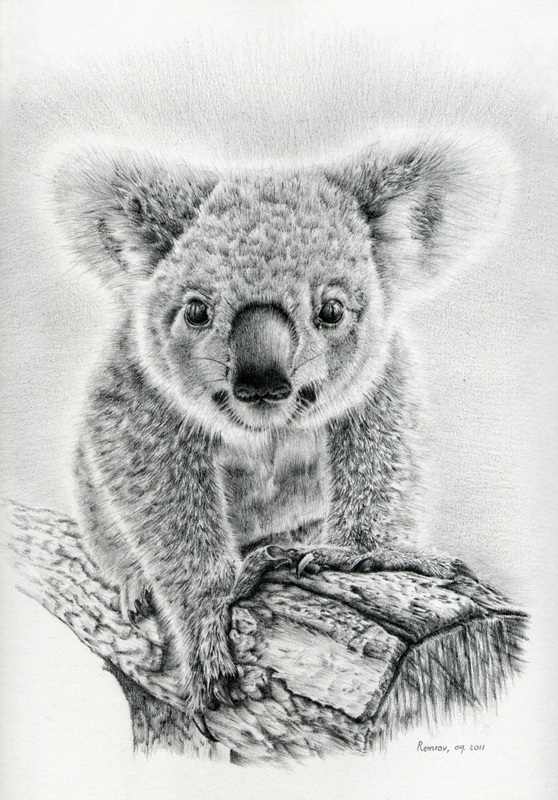 You can buy my Koala Cards in my Shop.